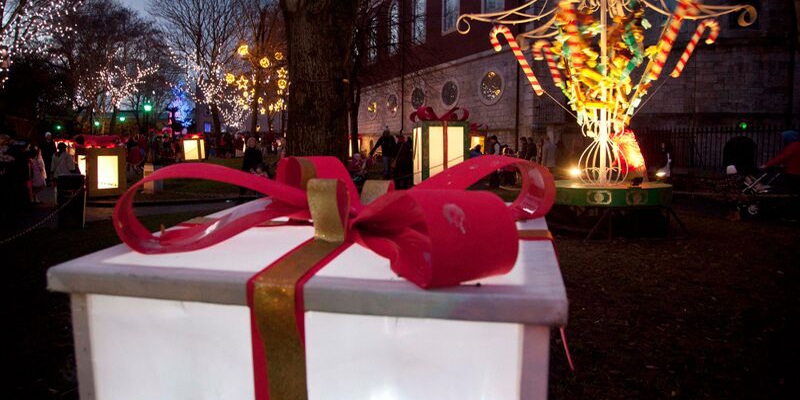 Get your Christmas off to a glowing start this year at Glow, A Cork Christmas Celebration. 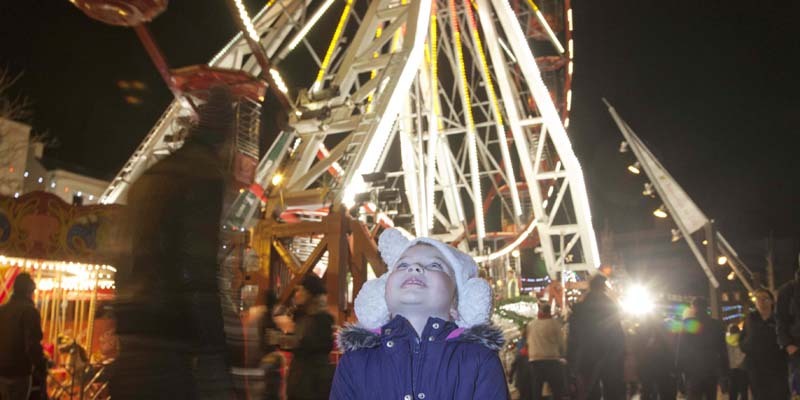 This 12 day Christmas Festival will take place in city of Cork on Fridays, Saturdays and Sundays from 27th November to 20th December. 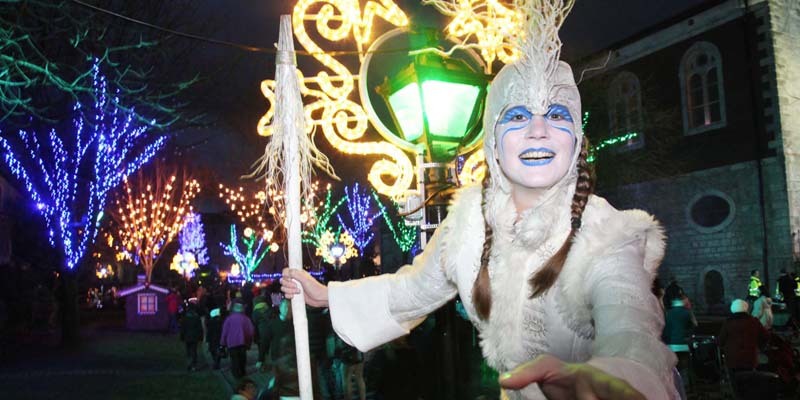 Experience the magical glow of Christmas as you wander through a FREE family friendly wonderland in Bishop Lucey Park, located in the heart of the city on the Grand Parade. 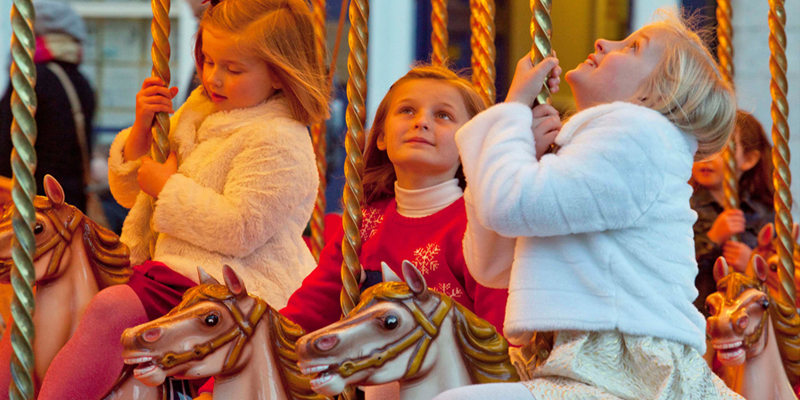 The Park will be transformed into Santa’s Workshop and children will be transported to a world of wonder as they watch elves working and playing, and enjoy the interactive and live toys on display. Children will be further enchanted as they post their letter to the North Pole, and watch the North Pole express toy train. 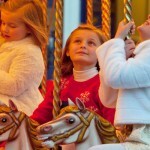 The Santa’s Workshop themed park, created by SPRAOI, will open from 4pm-8pm Friday to Sunday for the duration of the festival and the walkthrough takes approximately 20 minutes. 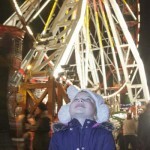 Visitors can also take a seat on Ireland’s largest Ferris Wheel for a 30m high ride with stunning views of the city’s skyline, and children will love the vintage carousel. A seating area outside the park on Grand Parade is the perfect vantage point to take in the atmosphere and you can treat yourself at a number of local food stalls located here.Cork’s famous food market, The English Market, is also just across the road. This is the perfect spot to sip hot chocolate and pick up a range of gifts and Christmas nibbles, like Tom Durcan’s famous spiced beef, O Connell’s smoked salmon, artisan cheese and delicatessen items. Cork is of course the Culinary Capitol of Ireland so make sure you savour some of the city’s fantastic restaurants and local Cork produce while you’re there. 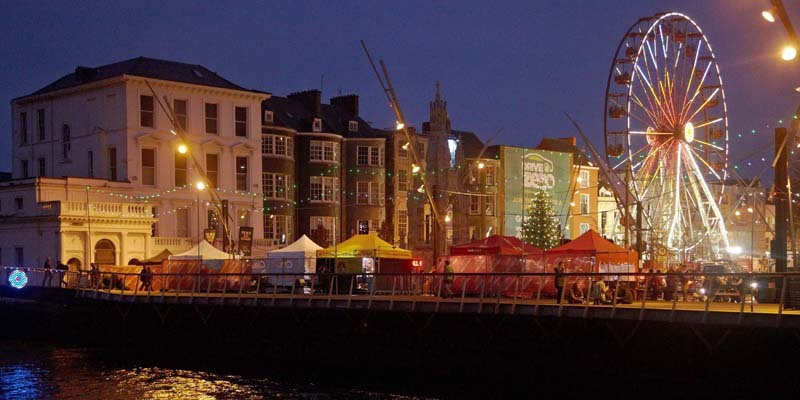 There will be a live music stage at Glow for the duration of the festival with carol singers and musicians entertaining in aid of a range of charities, and there will also be FREE Irish music sessions in pubs throughout the city– see www.theleesessions.com for more. Cork is a fantastic compact city to get all your Christmas shopping done, as you can find high street shops, boutiques and quirky gift shops all within a short walk of each other. It also has the most individually owned shops in the country, which means you have a better chance of finding something unique. Families will also enjoy a visit to one the city’s two pantomimes – Aladdin at the Everyman Theatre or Beauty and the Beast at the Cork Opera House. 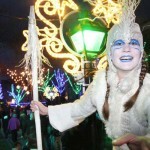 Glow Cork is presented by Cork City Council. Commenting on this year’s festival Director of Corporate and External Affairs at Cork City Council, Paul Moynihan said, “Cork City Council is delighted to present Glow again this year, a festival that captures the hearts of children and adults alike, and more importantly attracts more than 170,000 people into the city centre, which helps boost business for Christmas trading. The knock on effect to city centre traders, restaurateurs and hoteliers is estimated to be in the region of €7.5 million”. 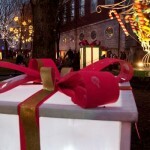 For more details on all to see and do at Glow, A Cork Christmas Celebration and in Cork this Christmas, see www.GlowCork.ie, Cork Glow Facebook or Twitter @GlowCork. Glow A Cork Christmas Celebration is supported by Cork’s 96FM and C103FM and presented by Cork City Council.